We have three Sunday School age groups: Pre-K through Kindergarten, first grade through third grade, and fourth grade through sixth grade. The curriculum used for Sunday School is Whirl. Whirl brings kids into the life of the church with a lectionary-centered curriculum that is fun for kids and simple for leaders. The children meet in Mann Hall each Sunday at 10:15am until 11:15am and then join families in church at the Peace. If you have any questions about Sunday School for your child, contact Nora Stubblefield at stubbs100@sbcglobal.net. 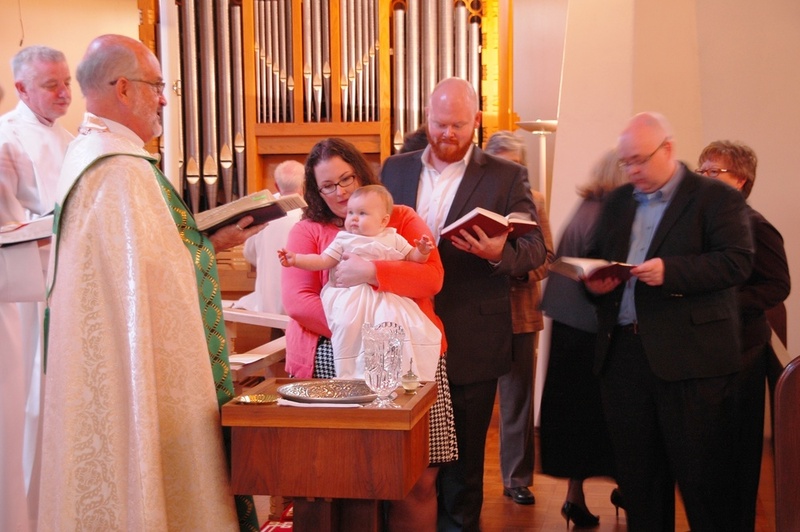 The Nursery is offered to children ages infant to four years old during the Sunday 10:30am services as well as special services through the year, such as the Easter Vigil, Thanksgiving Evensong, and the Maundy Thursday Service. The nursery is also available during the adult education classes and inquirer's classes which meet at 9:15am on Sunday mornings. On Sunday morning, the curriculum used is Frolic by Sparkhouse. This curriculum is a family of early childhood resources that help churches support families of children as they take their first steps of faith. The nursery is located behind the Parish Hall and Kitchen at the north end of the building. Doris DoPadre is the nursery supervisor and is assisted by several St. Stephen's youth members. If you have any questions about the nursery, contact the church office. Help secure the future of St. Stephen's. Volunteer to become a teacher or to work in the nursery with the youngest Episcopalians! Join this rewarding ministry to help teach our children the way of Christ. All supplies, curriculum, and snacks are provided by the church. If you are interested in helping, contact the church office. All of our teachers, volunteers, and vestry members who engage with children in Sunday School, in the nursery, and during special events are trained by the program Safeguarding God's Children. If you would like to volunteer to help with children, you must first be trained in this program. Contact the church office to find out more about Safeguarding God's children. What is Safeguarding God's children?